View More In Blender Replacement Parts. Brought to you by the #1 Blender brand. Refresh and revive your Oster blender. 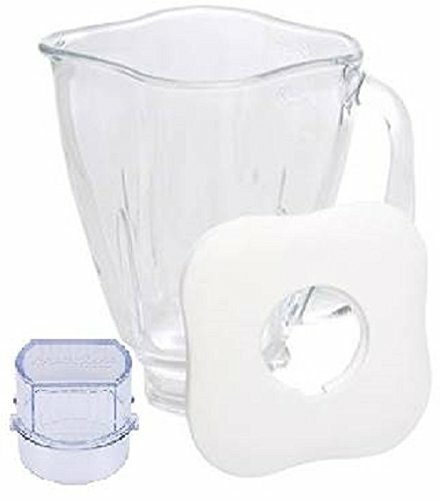 Add years to the life of your Oster blender with the 5-cup dishwasher-safe and scratch resistant glass jar that is thermal shock tested to withstand extreme temperature changes The jar fits most Oster blender bases regardless of whether the original jar was plastic or glass. The jar is clearly marked with appropriate measuring levels, including liters. The lid features a removable cap that allows for simple measuring. Revitalize worn components now and keep your Oster blender functioning as flawlessly as the day you brought it home. Save money, get the replacement jar and get back to blending.